Thanks to crowns and bridges, you can fill gaps in your smile with prosthetics that look and feel just like the real thing (or even better). At their practice in The Woodlands, Texas, experienced cosmetic dentists David B. Epstein, DDS, and Nikita Vakil, DMD, provide crowns and bridges to restore damaged and missing teeth. To learn more about crowns and bridges, call or click today. A crown fits over your tooth like a cap and fully replaces the part of your tooth that’s visible above your gums. Crowns look and act like natural teeth. Crowns are also the final step when you get a dental implant. 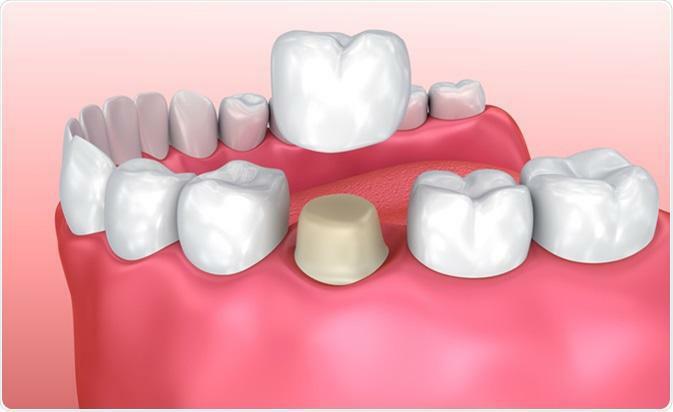 The implant is a replacement root, while the crown fits over the implant to replace your tooth. The process for installing a dental crown usually requires two visits. In the first visit, Dr. Epstein or Dr. Vakil examine the tooth receiving the crown and prepares it for the process. This includes shaping the tooth to accommodate the crown (under a local anesthetic), taking impressions, and placing a temporary crown on the tooth to protect it. At your second visit, your dentist removes the temporary crown and places the permanent crown using a cement-like adhesive after numbing the tooth. The teeth and gums surrounding your new crown may feel sensitive for a week or two after the procedure, but after that, your crown feels just like one of your teeth. Like a natural tooth, you need to take care of your crown by brushing and flossing regularly. A dental bridge is a fixed appliance that “bridges” the gap caused by missing teeth by using the surrounding teeth for support. A bridge can replace a single missing tooth or multiple neighboring missing teeth. If you’re missing only one tooth, and the surrounding teeth are healthy, Dr. Epstein or Dr. Vakil attach the bridge to your natural teeth. If you’re missing more than one tooth, or if your missing tooth is surrounded by damaged teeth, your dentist may first install implants and then use the crowns on the implants to support the bridge. Bridges require two office visits. During the first visit to Dr. Epstein and Dr. Vakil’s practice, your dentist takes impressions of your teeth and orders your bridge. 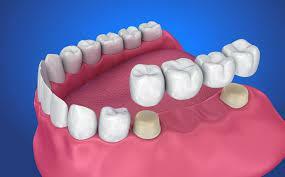 Your dentist also prepares the surrounding teeth to accommodate the bridge. This involves filing the teeth under local anesthetic, either to accommodate the bridge itself or to receive crowns. At the second appointment, after receiving your bridge, your dentist fits and then permanently bonds it to your teeth. Then, at a follow-up appointment, your dentist assesses how you’re adapting to the bridge and makes any necessary adjustments. To learn more about how bridges and crowns can restore your smile, call or use the online booking tool today.